Drinking water that has had artificial fluoridation compounds from toxic chemical waste products added to their water supplies, also contains cadmium and lead. Research has found that many people especially children have high levels of lead in their body and it is felt that this can also lead to behavioural problems. Click this link to read the GreenMedia article. Click this link for a source of quality food grade essential oils. Check out Sisel’s Triangle of Life (FuCoyDon, SpectraMAXX and Eternity) to assist in balancing your body with its nutritional requirements. Dr Mercola brings a most important article dated 6 October 2013 about genetically modified foods and glyphosate. Click this link to read more information with regards to GMOs and companies like Monsanto who are aggressively pushing this right around the world! I use two products which contain fulvic acid and I would recommend that everyone should be taking these as blood testing in the United States has revealed that everyone tested has a level of glyphosate in their system. Dr Mercola’s quick summation of the situation provides the following information and one of the most important aspects, in my personal view, is the fact that it immobilizes nutrients thus making them unavailable for your body! To me it makes it so much more important for us to take nutritional supplements and to use a good quality protein product which comes in two flavors – Vanilla and Chocolate. The chocolate is my personal favorite. Clicking on both these links will provide you with information. To make my protein product, really tasty I use filtered water and add either half a banana or some frozen berries (which I try and remember to put what I want out at breakfast time so they are thawed when I want to use them) and one heaped scoop of SiseLEAN. Here is what Dr Mercola’s quick summation said and below that is a link to Dr M Huber speaking on genetically modified food. ”A quick rundown of the importance of minerals and their function shows us that minerals are critical to our entire physiology such as the teeth, bones, blood, muscle, tissue and nerve cells. They are integral to transporting oxygen to the blood, or the pressure of body fluids to pass through the body. For example, potassium, calcium and sodium help maintain the rhythmic beating of the heart. Minerals are the bedrock of hormones such as thyroxin and insulin, and of proteins such as hemoglobin. I have read so many articles with regards to the harm that is being caused to people by their consumption of energy drinks and believe the information I am reading. Even taking athletes out of the equation, the normal Joe Blow on the street does not have access to minerals information to ensure that they get a sufficient mineral intake unless they do some form of supplementation. Information is shown above on the importance of the Triangle of Life products. Please click their links to learn more. If you would like to contact me for further information then please email me at siselopportunity@expandingabundance.com or in the email form below. What a wonderful way to obtain the missing nutrition in your diet! Minerals information page brings extremely important to ensure that people understand that some of the products that you purchase in the health food shops, chemists or supermarkets are not made from naturally occurring plants, etc but are synthetically manufactured. On 13 April 2011, Mike Adams, the NaturalNews Health Ranger, brings us an article on this very subject. Please take the time to read this information. Minerals Information page advises that organic colloidal minerals are the essential sparks of life that generate and maintain electrical production in our bodies. The body is dependent on trace elements etc in food for literally tens of thousands of biochemical functions. In order for our bodies to stay switched on and healthy, these vital nutrients must be constantly replaced. Many people will not be aware of the minerals information contained in this page and throughout this website. For instance, a lack of sodium, potassium and chloride can cause fatigue, muscle weakness and electrical disturbances to the heart. Electrical disturbances to the heart can result in erratic, rapid or skipped heart beats and even heart paralysis. The role of trace elements supplements in human biochemical functions is well documented. Germanium, chromium, iron, iodine, selenium, zinc and even lithium, have received much public attention through the works of leading nutritionists and medical researchers. The spectrum, however, is much wider than these better known minerals. In fact it encompasses over 50 individual elements. However, humans rely on these trace elements and a lack of these elements in the diet can lead to diseases caused by the deficiency. The concept that vitamins and minerals do not work in isolation but rather are dependent upon each for their actions, lead researchers to question if the presence of certain nutrients could enhance the retention of some or all of the others. Since trace elements provide the foundation for countless biochemical functions and hence are the basis of human nutrition, upon which all other nutrients are based. After testing researchers found that it would seem that trace element supplementation not only provides the human biochemistry with the catalysts of life but somehow assists the body in regulating the nutrient levels of all essential forms of life. When the body has its required levels of vitamins and minerals then it has the ability to heal itself apart from the obvious advantage that you will feel better and be a more balanced person, both physically and mentally. 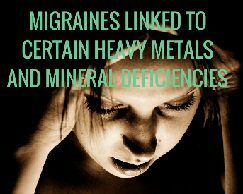 fluoride stops the absorption of magnesium? Do you know that fluoride seeks out minerals such as magnesium and binds with it, making magnesium unavailable to the body and unable to do its work! The magnesium-fluoride mineral produced is called sellaite and it is almost insoluble and ends up taking the place of magnesium in hard tissues like bone and cartilage, but its brittleness makes the bone susceptible to fracture. So why is our water being fluoridated? There are several pages on this website that will give you further information on the harm that fluoride causes. My personal suggestion is that when you have looked at the information on these three pages that you take the time to contact your local Member of Parliament and if you are an Australian, then also contact your Federal Member of Parliament and demand that they stop putting a toxic chemical waste product like fluoride in your drinking water! It is your democratic right to have access to uncontaminated drinking water! I hope you have enjoyed reading and learning minerals information and the important role that these minerals play in your wellness. Please don’t hesitate to contact me in the email form below if I can be of any assistance to you or if you have unanswered questions that I may be able to answer. I love putting pages like Minerals Information together that may just turn around even one person’s life or prevent someone from getting sick. Take care and be well!